Android 5 "Lollipop (5.0) " is a version of the Android mobile phone operating system that was released in November 2014. The first thing you will notice after updating to Android 5.0 Lollipop is the redesigned interface. Google's "Material Design" brings a cleaner, lighter look to the operating system. Notifications are now displayed directly on your device's lock screen. Not a fan of having everything front and center? Notifications can be disabled or set to hide sensitive content. A new feature in Android 5.0 Lollipop promises to squeeze 90 extra minutes of juice out of the battery in your device. The first time you change the alert volume on your device you will notice few new options just below the volume slider. These are part of a new featured called Priority mode. You can set a Bluetooth or NFC tag as a "Trusted Device." When the device is in range of your phone, the security passcode or pattern won't be required to unlock it. Can't find what you want in the Settings menu? Android 5.0 Lollipop now includes a search option specifically for settings. Share your phone with friends or family members? You can now create multiple user profiles to keep your personal apps, contacts and photos separate from theirs. There is also a guest mode for temporary users. There are other options if you don't want to enter guest mode every time you let someone play a game or use the dialer app. A new feature in Android 5.0 Lollipop lets you pin a specific app to the home screen. The Quick Settings menu in Android 5.0 Lollipop has been improved. There is now a slider so you can quickly adjust the brightness, an rotation lock option and a built-in flashlight, among other features. One of the new features in the Quick Settings menu lets you quickly check your data usage. Simply pull down the menu and tap the network icon. Previous versions of Android included an automatic brightness feature, which would automatically adjust your brightness depending on your environment. The feature has now been replaced with an "Adaptive brightness" mode. This is similar to the auto-mode, but you still have the ability to choose your own brightness. Once you have set a base brightness, the adaptive mode will then adjust it based on your surroundings. 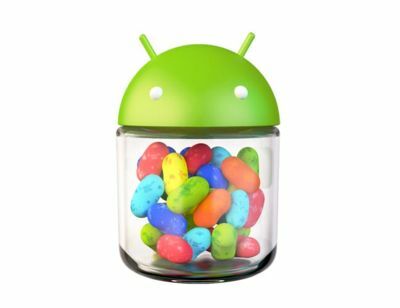 One feature you won't see on the surface of the Android 5.0 update is the move to the new Android Runtime, known as ART. In short, the new runtime improves the performance of your device and helps optimize battery life. A new (and experimental) feature in Android 5.0 aims to make text easier to read. You will also find an option to Invert Colors in the Accessibility settings. While it's not for everyone, this option can also make it easier to read text at night. Did you know that apps in the Overview menu will stay in there even after you power down or restart your phone? It's true, and it makes it easier to get back to the apps you were using. While you still can't use the "OK, Google" command when the display is off (unless you own a Nexus 6, Moto X or Nexus 9), you can now use it inside of most apps on Android 5.0. In addition to battery improvements, Android 5.0 gives you more information on your battery life. Going to Settings and selecting Battery will give you an estimated time of how much longer your battery will last. After you plug your phone in, it will give you an estimate on how long it will take the battery to be fully charged. The Android Beam sharing feature that was first introduced with Android 4.0 Ice Cream Sandwich has been improved with the release of Lollipop. Users could previously only share Web links, contact info, directions and YouTube videos, but now you can share anything with just a tap. Simply select what you would like to share, place two Android phones with NFC back-to-back, and either tap the screen or choose Android Beam from the sharing menu. You can also use NFC to copy data (such as apps and settings) from an old Android device to a new one. To learn more about this feature, check out this article. One of my favorite features in Android 5.0 is the new notification system. Notifications will no longer interrupt you when playing a game or watching a movie. Text messages, phone calls and other notifications will now briefly appear at the top of the screen. You can choose to act on the notification or simply swipe it away. The mobile game Flappy Bird took the world by storm in 2014. After reaching the top of the charts, the game was suddenly removed by its creator from the Google Play Store. As a homage to the game, Google added a Flappy Bird-inspired Android version as an Easter egg in Lollipop.